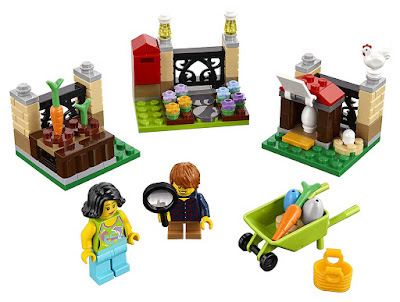 Right now you can get this LEGO Holiday Easter Egg Hunt Building Kit for ONLY $9.29 (Retail $11.99)! Discover seasonal treasure with the LEGO Easter Egg Hunt, featuring 2 minifigures in search of hidden Easter eggs. Includes a henhouse with an opening door, flower garden with mailbox and a vegetable garden—all with fun hiding places! Also includes a wheelbarrow, magnifying glass, rooster, eggs and a basket. Makes a great seasonal gift for LEGO fans.